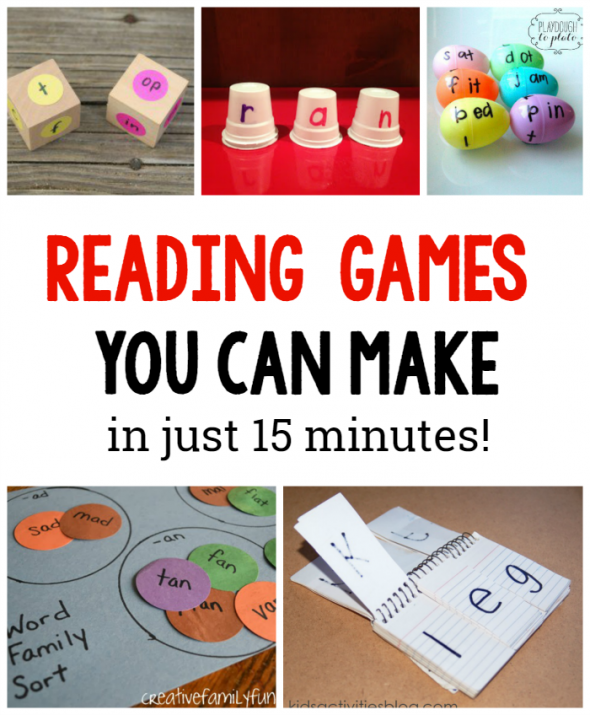 Looking for reading games you can make yourself? These are perfect if you’re short on time! 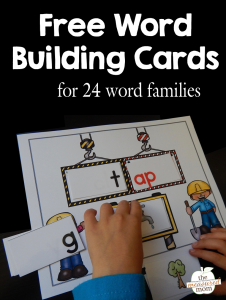 Recently I shared a printable list of CVC words that you can use when planning activity for your child or students. 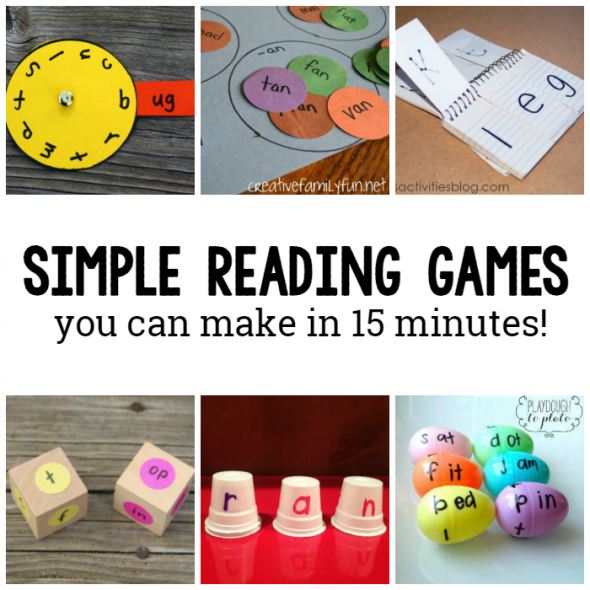 Today I’m sharing ten simple games and activities you can make yourself. Just plug in the words! 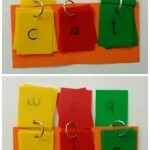 Kids Activities Blog made a simple phonics flip book with a wirebound index card book. 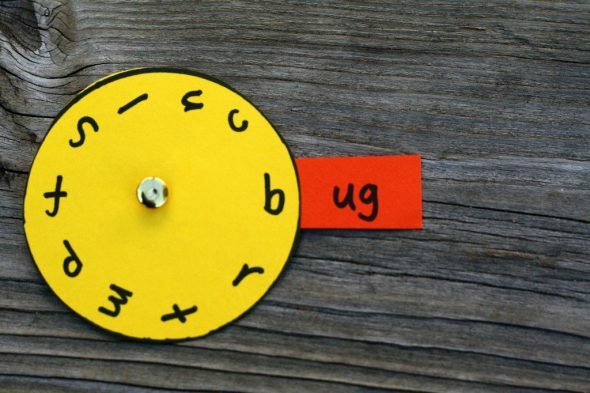 Playdough to Plato shows you how to make these word family spinners. 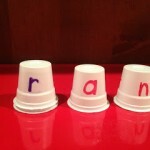 Learn more about these word towers with stacking cups at Kathy Griffin’s Teaching Ideas. Have you seen this idea? 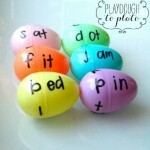 Create word family eggs with plastic Easter eggs at Playdough to Plato. 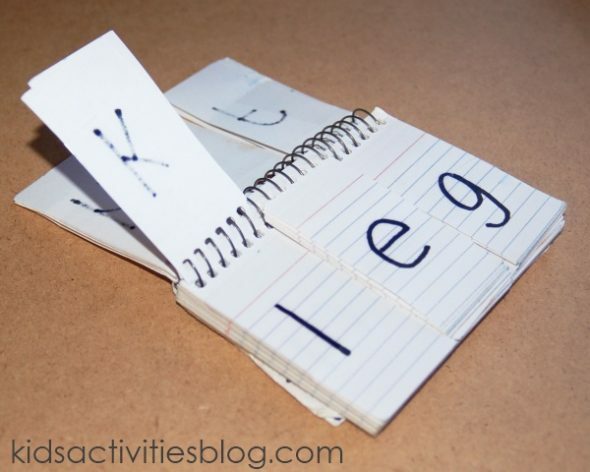 Get the tutorial for these first words flip book at Craftulate. Grab two wooden cubes and some stickers. 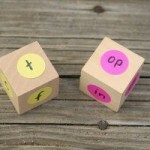 You can make Playdough to Plato’s word family dice. 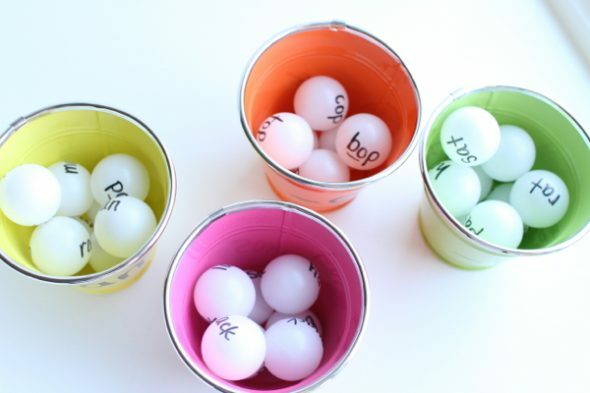 Learn how to play Word Family Snowball Toss at I Can Teach My Child. 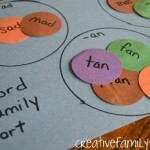 Creative Family Fun shows you how to make a paper word family sort. 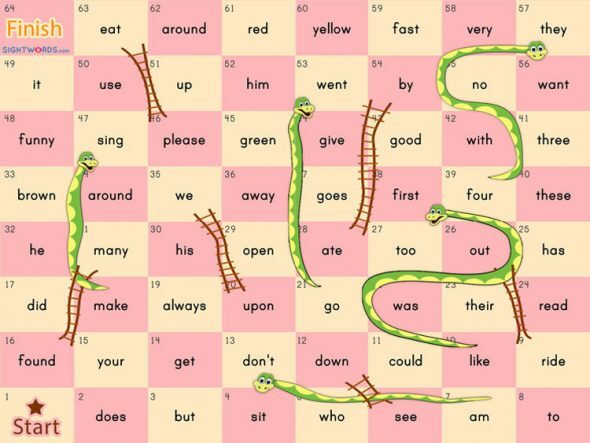 Enter the words on Sight Words.com, a free website where you can create your own Snakes & Ladders game. Finally, play “Zap It!”, a high interest game you can find at Dr. Jean’s website. P.S. 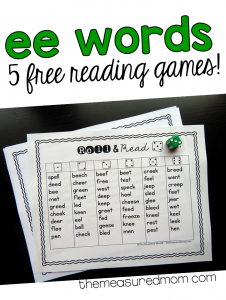 Don’t forget to grab my free printable list of CVC words to help you make the games! 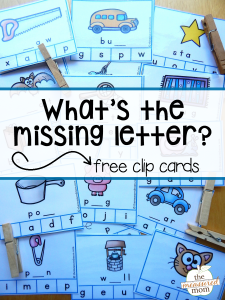 Check out some of our free printables! Very creative. Would be fun to have these if I were learning to read…. Great ideas ! 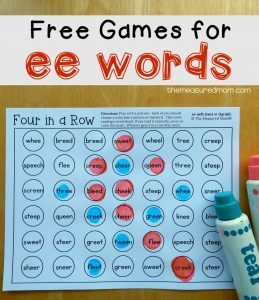 Do you have activities for long vowels , please? If you search her site for long e, long i, etc. you’ll find more! We have used our plastic eggs for several games. Looking forward to trying Zap! this year with homeschool. 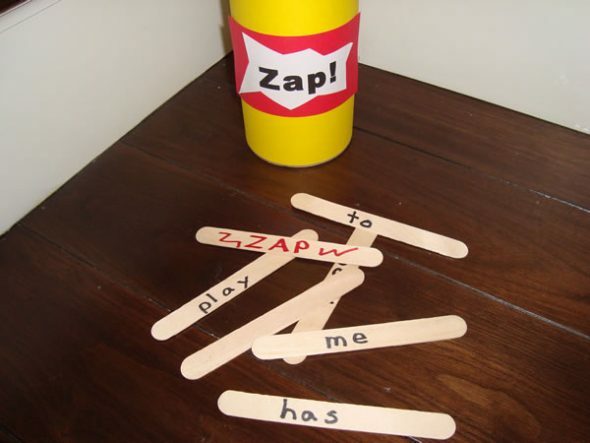 Yes – Zap is a fun one!